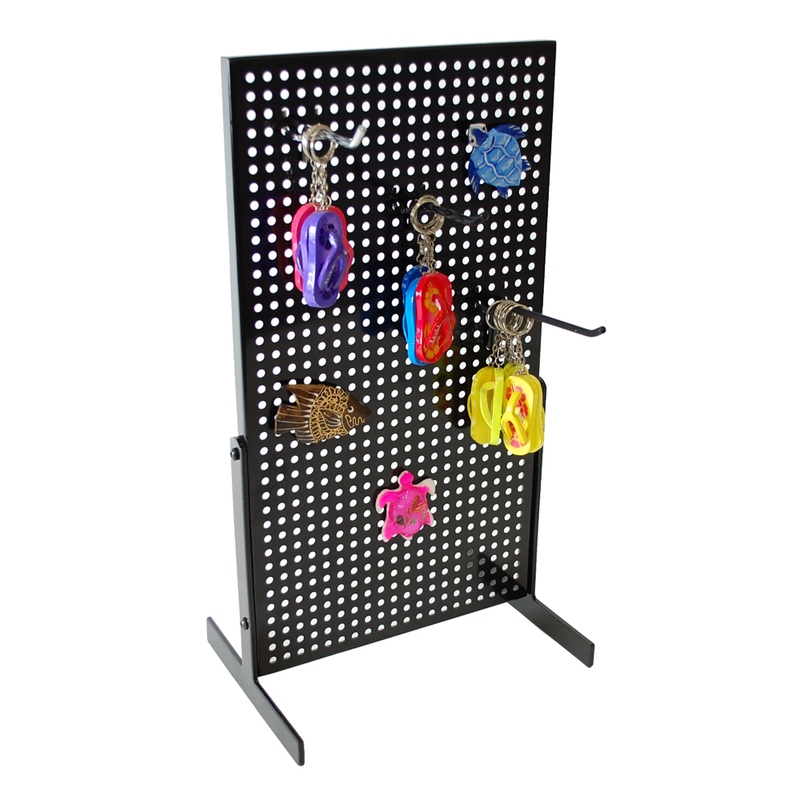 All Steel pegboard retail counter display is perfect for magnets or hanging items on peg hooks. Gets your product at the right place for impulse purchases. 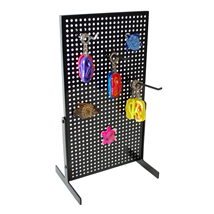 Pegboard panel measures at 10 1/2 in.W x 19 1/2 in.H. Peg Hooks are sold separately. 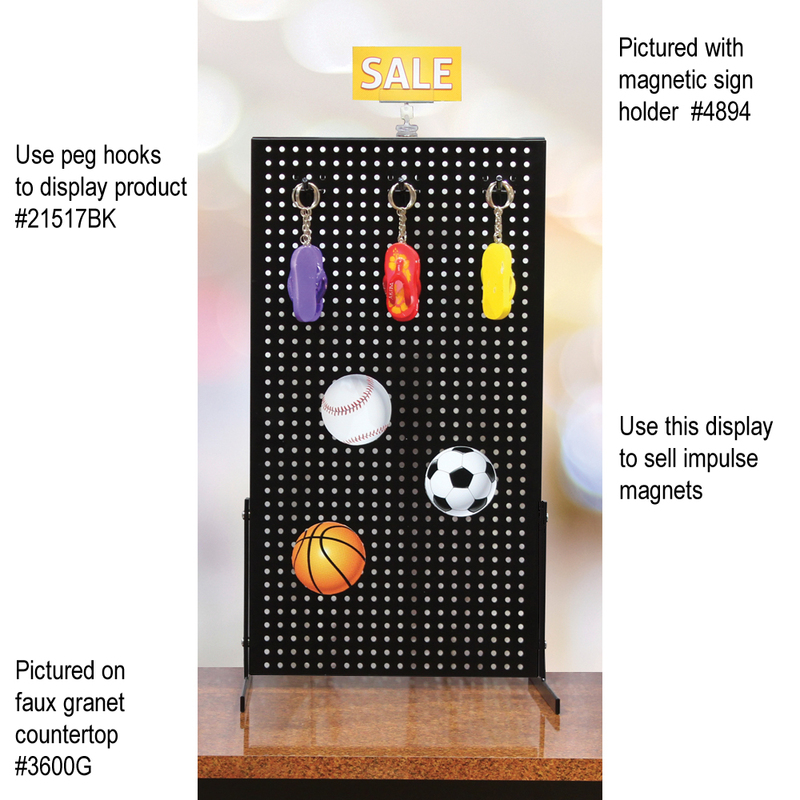 Magnetic base sign holders are available to add, see item# 4894, and item#4895.